Here at 23MD, we are incredibly proud to offer Intense Pulse Light (IPL) treatment. 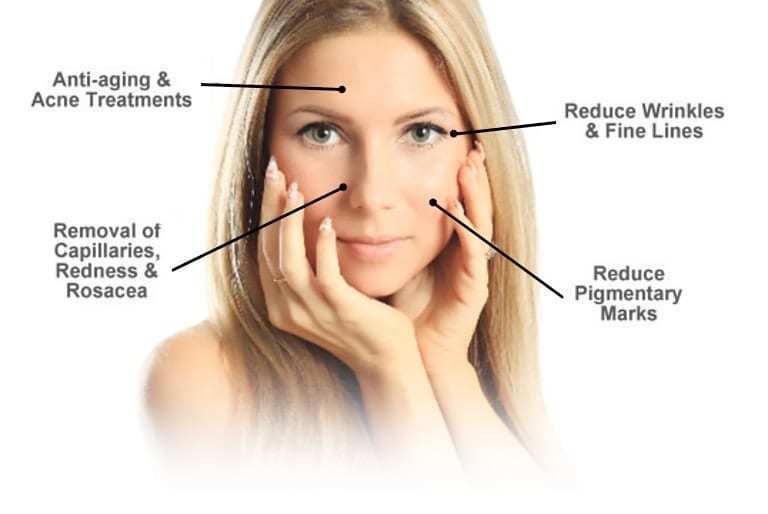 This is one of the latest medical technologies to be introduced to the cosmetic industry, and it is a fantastic way to rejuvenate and refresh your facial skin. The IPL photofacial machine uses broad-spectrum light (rather than a single wavelength) to reach multiple layers of the skin. Brief flashes of this light are applied to the treatment area, 2-3 times per session, therefore encouraging the body’s natural healing process and stimulating collagen production. In this way, IPL treatment addresses both the surface skin and tissues beneath. The procedure itself is safe and non-erosive, improving damaged skin tissue and hyperpigmentation, without harming healthy skin cells. There is virtually no downtime and, following an IPL photofacial, most people can resume their normal daily activities – with smoother, fresher, and younger-looking skin! Our physicians currently recommend IPL for the treatment of sun-damaged skin, fine lines and wrinkles, enlarged pores, hyperpigmentation, liver spots and more. Get in touch today and we will discuss your exact requirements at the first consultation.